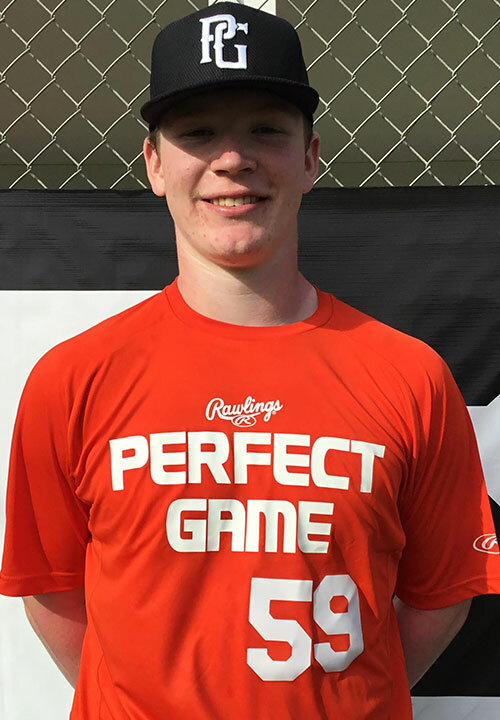 Jared Jones is a 2022 C/1B/3B with a 6-4 225 lb. frame from Marietta, GA who attends Walton HS. Large frame with long limbs, broad shoulders and present strength. Primary catcher with a balanced set while receiving the baseball. Gains some ground towards the bag with smooth paced, sound footwork. Loose glove circle while working through exchange and released from a compact arm slot. Displayed good arm strength topping at 79 miles per hour to the bag, best workout pop time of 1.90. Right handed hitter with slightly crouched, balanced stance. Utilized a smooth, fluid swing path through the zone with present strength at contact. Consistently threw the barrel head to contact out front and produced very loud, hard contact to all fields. Named to the 2018 National Underclass Main Event Showcase Top Prospect List.